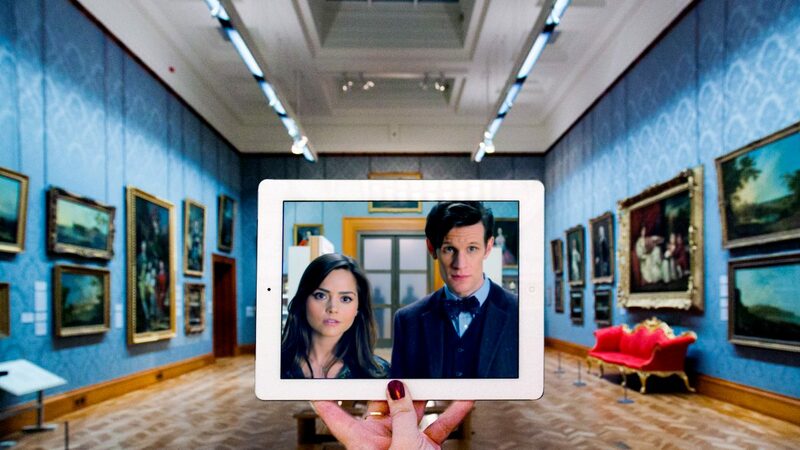 Jenna Coleman and Matt Smith in "Day of the Doctor", the 50th Doctor Who special episode filmed at National Museum Cardiff. Today we’re thinking about CARDIFF, WALES! It’s one of our favorite TV cities in the world and the place where our whole crazy Fangirl Quest journey began back in 2013. We were both unemployed and/or working from home that year and free to make a big decision… so we decided to move abroad. At first, we considered London and Dublin, but since we already had some amazing local friends in Wales (and knew Cardiff was the homebase for both Doctor Who and Sherlock 😍), we ended up living there. In the end, Satu lived in Cardiff for 8 months, Tiia for 2 years. During those first 8 months living together we traveled to dozens of really beautiful filming locations. Finally, we ended up going viral with our #Sceneframing photos. 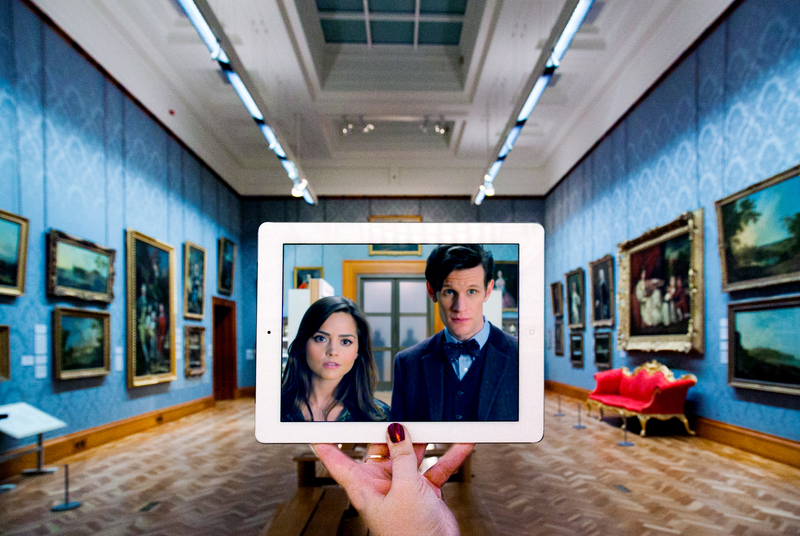 Jenna Coleman and Matt Smith in “Day of the Doctor”, the 50th Doctor Who special episode filmed at National Museum Cardiff. Aside from (the really cool guy) @moloknee on Instagram, we were the first ones to start a photo series like this. Finally, we even had to come up with a word to describe the images, since there were so many online medias and magazines asking/writing about it. 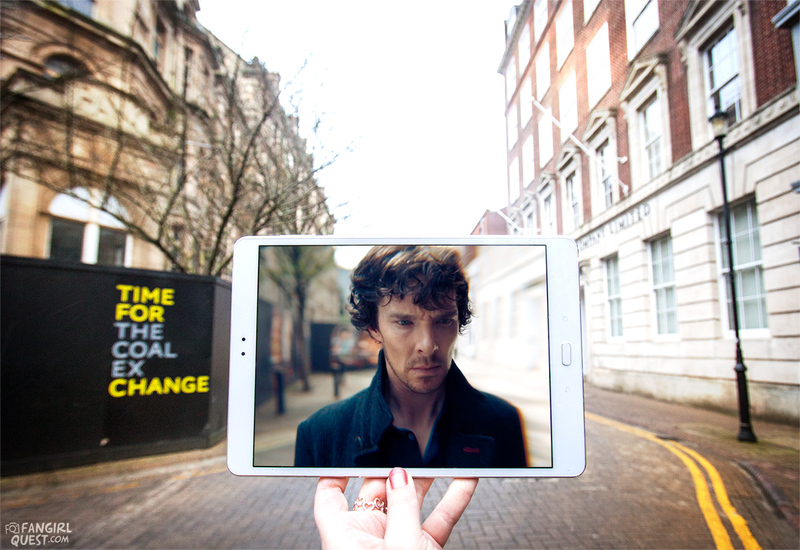 Benedict Cumberbatch as Sherlock filming the show on the streets of Cardiff. PS: If you check out the #sceneframing tag on Instagram, you can see many, many other fans having fun with the same thing. AMAZING!! !